This book had my heart beating wildly in my chest as I read each real life account from survivors of domestic abuse. The silent chorus. Just imagine you thought that you had met the man or woman of your dreams. This person was charming and you thought they were the one or perhaps that this was fate; it was just meant to be. But as the months go by things start to change. Their behaviour towards you isn’t the same, they are more critical, more particular about your appearance, what you do, how you do it, who you see. Time goes by and you feel isolated from your friends and family because that behaviour has now changed to threats, maybe violence and you feel that your identity is all but gone. But still you stay. Where would you go? Who would help you? You are not worthy. But you are. A group of survivors have spoken about their own experiences. In their own words they show that survivors do have a voice and that it needs to be heard. They show that abuse isn’t unique or strange but that it is, unfortunately, a surprisingly common problem in today’s society. The message of this book is one of courage, as with courage comes awareness and an ability to understand what has happened to you and take the steps needed to become a survivor yourself. My heart ached for each person who told their story. Parts of me wished this book was a fiction novel because the pain you read is tremendous. Each person’s story pulled at your heart strings making you not want to stop reading. They each give you warning signs to look out for as well as strategies of how to leave if you are in an abusive relationship. Hearing the stories written by survivors makes you understand why they stay, and makes you realise how desperately they need your help. I would like to commend the Author for ensuring the stories were written by each survivor in their own distinctive voice. I want to commend her for writing a book that gives a voice to those suffering. I would also like to mention that even though the book speaks mainly of woman’s accounts, but there are countless men experiencing the same pain daily, and the shame they face to speak out is even harder. To all men and woman who have survived abuse, make your story heard so that someone else who is suffering can find their voice and find their freedom. I would highly recommend this gripping book to people experiencing abuse and also to family and friends who suspect their loved one is being abused. Let’s spread the word and put a stop to this inhumane act in society. This book deserves 5 Stars for its ability to tell these stories in the voices of the people who experienced the horror of them. It was brave of each person to tell their story and even more brave of Jennifer to openly share hers. Beautifully written. Gripping and honest. A must read. 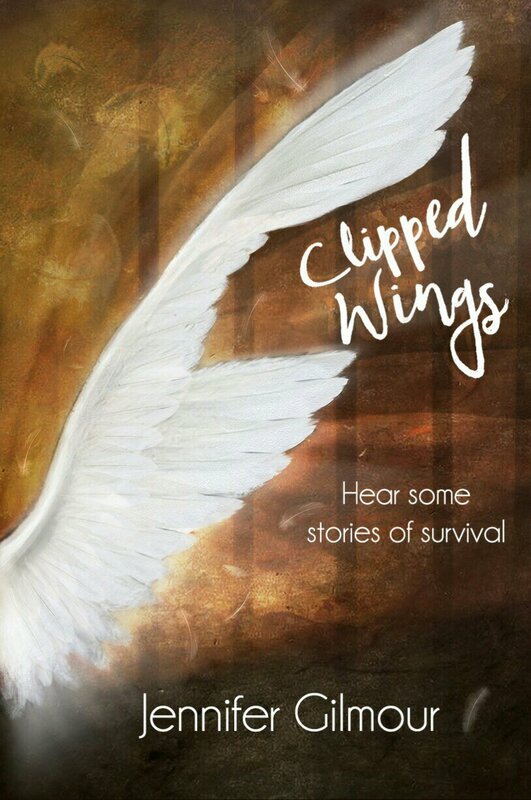 Clipped Wings is available on Amazon in Paperback and Kindle, and where all good books are sold. 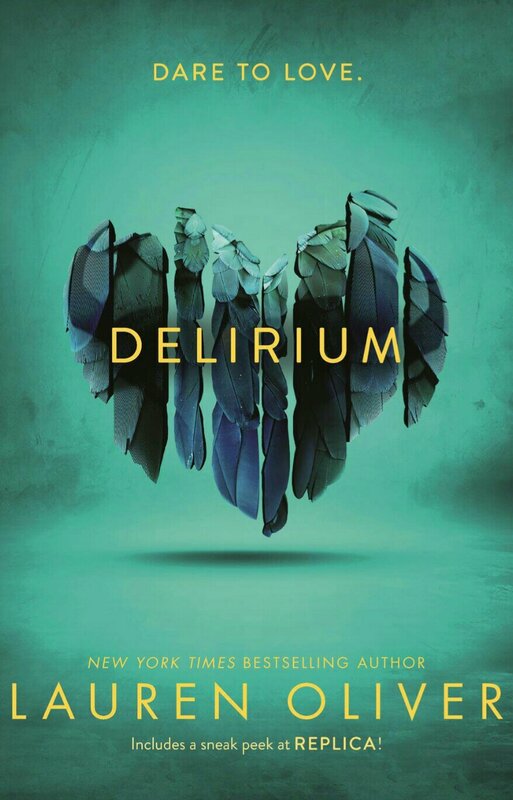 Recently I had the pleasure of reading Delirium by Lauren Oliver. To start off I must say I absolutely love the cover! This revised cover edition is much better than the original and really caught my eye. Besides loving the cover, I absolutely fell in love with the book! Dystopia novels are not something I usually read, but the concept of Love being declared a dangerous disease, definitely made me explore further. 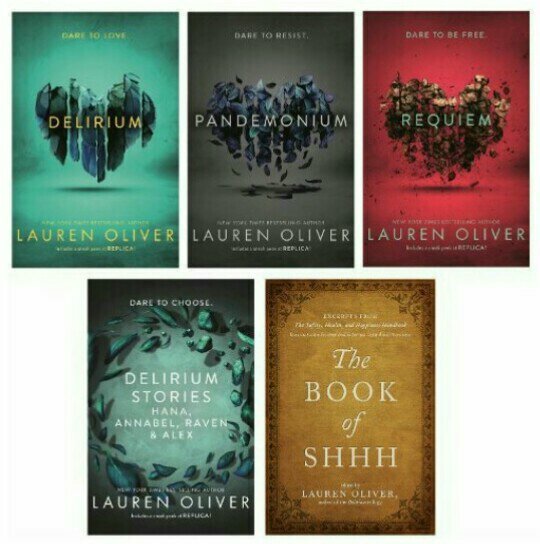 Lauren Oliver has an amazing talent. She almost writes in a style devoid of love in this book, to emphasise the theme. I found myself so drawn to this world as I could feel it and imagine it in every word, every description and the lack of emotion in her way of writing. The idea that Lena was about to have her procedure made you start hoping for some way out for her from page one. Being a hopeless romantic myself I definitely was of the school of thought that, should I be in their position, I would have definitely wanted to go to The Wilds instead. This book definitely raises some interesting points and I thought I would list some things I found myself discussing with others, that I would love to discuss with you too. 1. If you had to choose between living a life incapable of feeling love, or living a life devoid of any luxuries in order to at least feel love. What would you choose? My view to this was that I would really struggle living in the Wilds without water and electricity etc, but if I was with someone I loved it would make it all worth it. 2. Do you think that this Dystopian novel hints to the fact that we are currently being controlled by our governments to think or feel a certain way? My view is that mass media seems to lead our thinking on certain topics in particular directions. So to an extent I think how we view things is being influenced. 3. Were there things about the novel that seemed far fetched or not believable? My View: Yes I felt that if a breakaway society existed, they didn’t necessarily have to be nomads or jungle dwellers. I’m sure they would have been intelligent enough to create a good comfortable society. I would have loved their world to sound better than the current controlled world, but in some aspects it sounded worse. Overall I must say I loved this book and I went on to read the next one in the series. Although it’s classified as a Young Adults novel, I think it raises some real interesting concepts that we will all love to explore. There are also more books in the Series that you will love to explore. Each written in its own unique style and adds more pieces to the puzzle. I absolutely love Pavlova. The variations are limitless, with strawberries, and kiwi fruit, or chocolate and nuts with pears. Heat oven to 150C/130C fan. Using a pencil, mark out the circumference of a dinner plate on baking parchment. Whisk the egg whites with a hand mixer until they form stiff peaks, then whisk in the sugar, 1 tbsp at a time, until the meringue looks glossy. Whisk in the vinegar, cornflour and vanilla. Many people don’t know that we Authors also have our own Must Read list of books. These are books we eye out from other Authors and we promise ourselves that we will find time to read them in the coming months. I thought I would share my wish list for the holidays with you, so that we can explore these gems together. I haven’t limited them to any particular genre, as I like to read a combination of things. If you find yourself reading any of these, please do find me on Social media so we can chat about them together. You can also chat to me about my own book, because of course it MADE THE LIST! Synopsis: 1974 and Elena Damiani lives a gilded life. Born to wealth and a noted beauty, no door is closed to her, no man can resist her. At twenty-six, she is already onto her third husband when she meets her love match. But he is the one man she can never have, and all the beauty and money in the world can’t change it. 2017 and Francesca Hackett is living la dolce vita in Rome, leading tourist groups around the Eternal City and forgetting the ghosts she left behind in London. When she finds a stolen designer handbag in her dustbin and returns it, she is brought into the orbit of her grand neighbour who lives across the piazza – famed socialite Viscontessa Elena dei Damiani Pignatelli della Mirandola. Though the purse is stolen, Elena greets the return of the bag with exultation for it contains an unopened letter written by her husband on his deathbed, twelve years earlier. Mutually intrigued by each other, the two women agree to collaborate on a project, with Cesca interviewing Elena for her memoirs. As summer unfurls, Elena tells her sensational stories, leaving Cesca in her thrall. 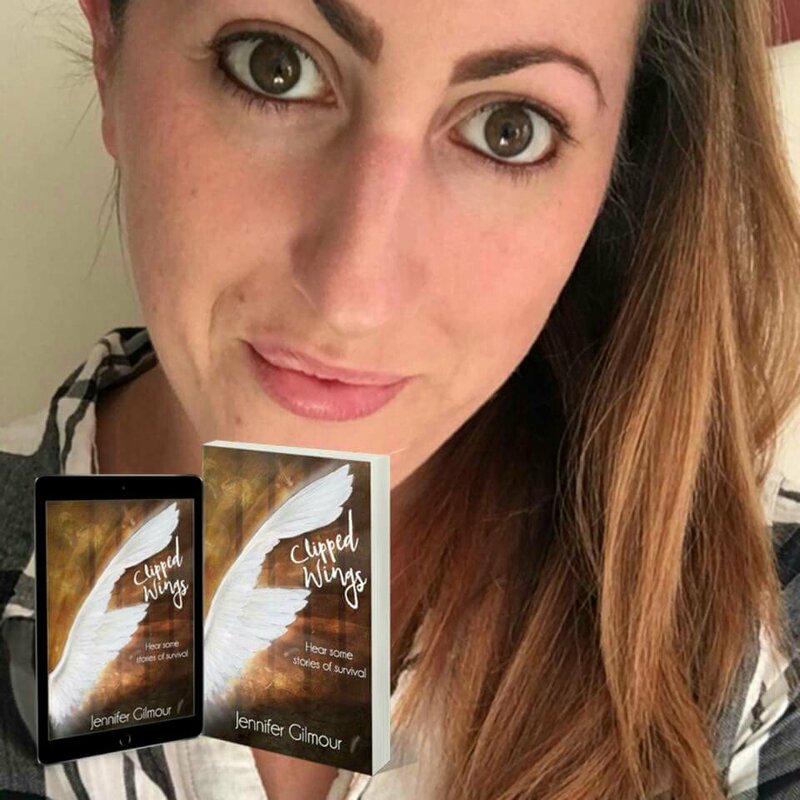 But when a priceless diamond ring found in an ancient tunnel below the city streets is ascribed to Elena, Cesca begins to suspect a shocking secret at the heart of Elena’s life. Synopsis: In A Window Opens, beloved books editor at Glamour magazine Elisabeth Egan brings us Alice Pearse, a compulsively honest, longing-to-have-it-all, sandwich generation heroine for our social-media-obsessed, lean in (or opt out) age. Like her fictional forebears Kate Reddy and Bridget Jones, Alice plays many roles (which she never refers to as “wearing many hats” and wishes you wouldn’t, either). She is a mostly-happily married mother of three, an attentive daughter, an ambivalent dog-owner, a part-time editor, a loyal neighbour and a Zen commuter. She is not: a cook, a craftswoman, a decorator, an active PTA member, a natural caretaker or the breadwinner. But when her husband makes a radical career change, Alice is ready to lean in—and she knows exactly how lucky she is to land a job at Scroll, a hip young start-up which promises to be the future of reading, with its chain of chic literary lounges and dedication to beloved classics. The Holy Grail of working mothers―an intellectually satisfying job and a happy personal life―seems suddenly within reach. Despite the disapproval of her best friend, who owns the local bookstore, Alice is proud of her new “balancing act” (which is more like a three-ring circus) until her dad gets sick, her marriage flounders, her babysitter gets fed up, her kids start to grow up and her work takes an unexpected turn. Readers will cheer as Alice realizes the question is not whether it’s possible to have it all, but what does she―Alice Pearse―really want? Synopsis: Whiskey and Charlie might have come from the same family, but they’d tell you two completely different stories about growing up. Whiskey is everything Charlie is not ― bold, daring, carefree ― and Charlie blames his twin brother for always stealing the limelight, always getting everything, always pushing Charlie back. By the time the twins reach adulthood, they are barely even speaking to each other. When Charlie hears that Whiskey has been in a terrible accident and has slipped into a coma, Charlie can’t make sense of it. Who is he without Whiskey? As days and weeks slip by and the chances of Whiskey recovering grow ever slimmer, Charlie is forced to consider that he may never get to say all the things he wants to say. A compelling and unforgettable novel about rivalry and redemption, Whiskey & Charlie is perfect for anyone whose family has ever been less than picture-perfect. Synopsis: Seven years ago, two boys went missing at sea – and only one was brought to shore. The Sandbank, a remote stretch of coast dotted with beach huts, was scarred forever. Synopsis: Sarah Lewis desires nothing more than to begin again after a failed marriage and a tragedy so terrifying, it forces her to leave her life in London to stay with her best friend a world apart in South Africa. Until the day when she has to return to London to face the ghosts of her past and confront a situation that has grown more complicated in her absence. Perfect Imperfections is an intriguing tale which hints at wrongdoings and deceit without giving too much away. 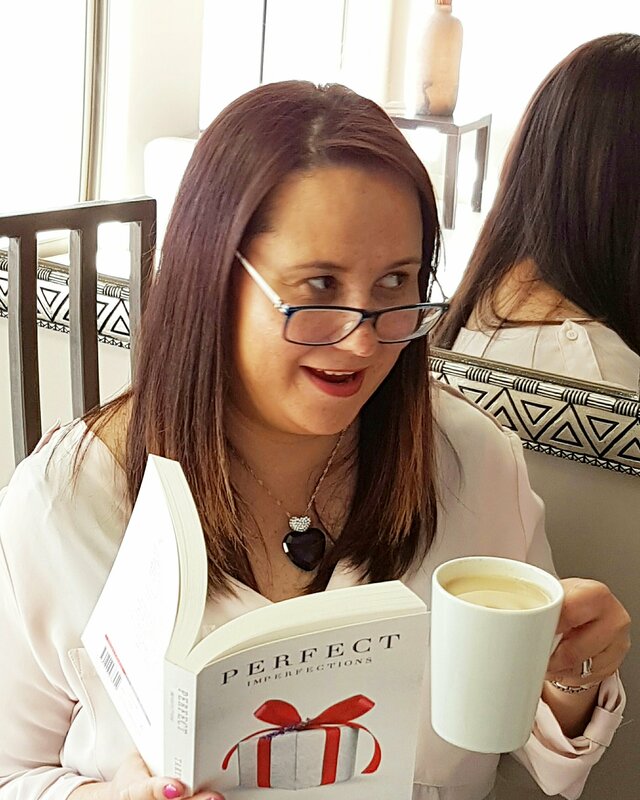 The author cleverly weaves a tale around fragile yet strong Sarah as she tries to reconcile her past with her future, engaging the reader to the point where we simply want the best for her and for happiness finally to come her way. As an Author of Fiction myself, I have made it my mission to write books that can bring a change to someone else’s life. Whether it’s showing them the power of forgiveness or allowing them to have empathy for someone else who is going through the hardest moments in their life. For me, it’s important, to not just write beautiful stories, but to have a lasting impact on the very person whose hands grace the pages of my books. We all love to read our favourite books. Yet there are those secrets we rarely hear about, and its those little things we love to know. Not every character in the series is in the book. JK Rowling finds ways to bring elements of herself into her books. She and Harry Potter share a birthday, July 31st. She is reported as saying that Hermione is a bit like her when she was younger, and her favourite animal is an otter—which is, of course, Hermione’s patronus. Plus, both Dumbledore and Rowling like sherbet lemons (Rowling said that the wizard’s “got good taste”). Sometimes the easiest way to ease your stress is to do small manageable things to simplify your life. You will be amazed at how those small things add up to make one feel overwhelmed. So here are some things you can do to ease your stress. Pack your lunch or the kids school bags the night before. This will enable your mind to rest while you sleep instead of thinking of a million things you still have to do when you wake up. De-clutter. Throw out things that you haven’t used in a year. You will be amazed at how getting rid of the junk around you keeps you stress free. Keep your house tidy. And here I mean tidy and not just clean. Having things laying around adds a level of stress that you cant even imagine. So keep it tidy, and that includes that messy cupboard. Say less. When you are angry, say less. That includes the emails you may write at work. There are things we say in anger that we can’t take back, and it causes bigger problems when people start to react and it blows out of control. So listen more and say less. Don’t assume. There is a stress that comes when we start to guess what someone meant or what someone thinks. We tend to build castles in our minds around these assumptions. We stress over them, get sad and angry over them, and yet if we just asked for clarity we might see that what we assumed is wrong. Do a random act of kindness. You will find that if you do a random act of kindness a day, you will remove all the negativity and frustration from your life, as your focus shifts away from you and your stress and instead you get the gift of joy that comes with kindness. So whether you buy the person behind you in the Starbucks line a cup of coffee or if you bake muffins and give it to the beggar on the street, or leave a note in your husband or child’s lunch telling them how you love them. Be creative. Be kind. Stop doing what you hate to do. If its a job you hate, make a plan to find a way to go into a new career path. If its doing things to please people, then stop and see your own worth. Remember there is a calm that comes in simplicity. So keep things simple. Do what’s small and manageable, and soon the mountain will disappear.